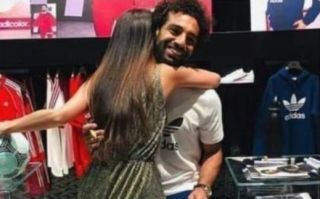 Liverpool star Mohamed Salah received something of a jokey telling-off from his mum after being pictured hugging a female fan. The Egypt international shared the amusing picture via social media with laughing emojis over it, clearly seeing the funny side. Salah may be enjoying himself with fans right now, but he could do with getting his act together on the football pitch again. It’s not been the best season for the former Roma man, who has failed to live up to the high standards he set for himself in his first year with the Reds. Hopefully his mum will have a word with him about that too!